At LuMac we help at all stages when planning a canopy. 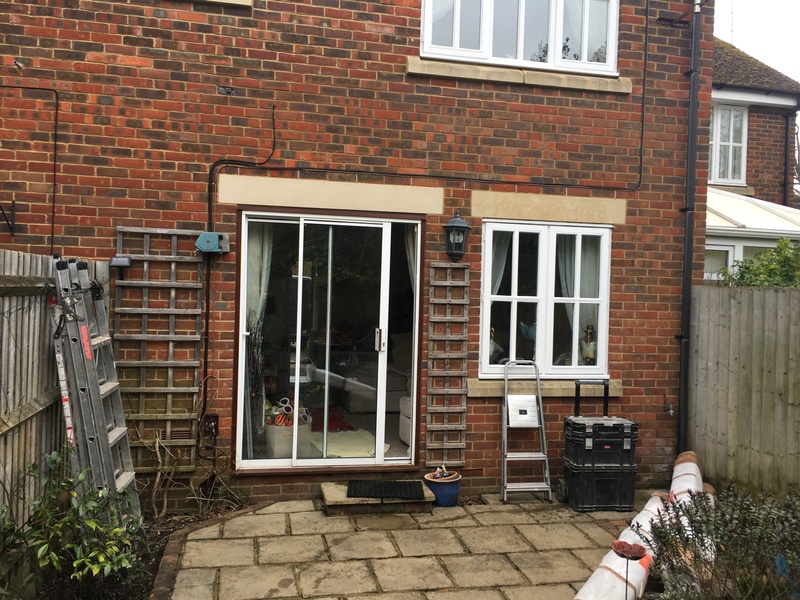 This photo was sent in by the customer for advice from our team of experts. 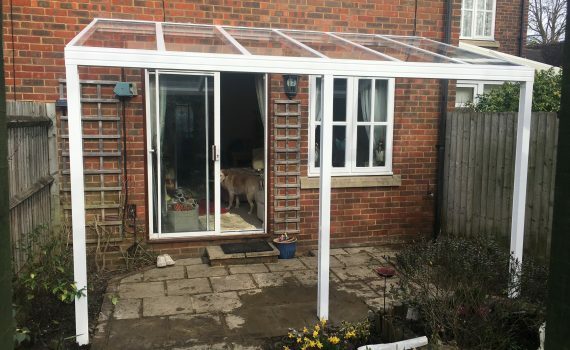 It is the perfect area for a Lean To canopy because it features plenty of space on the wall being attached to. 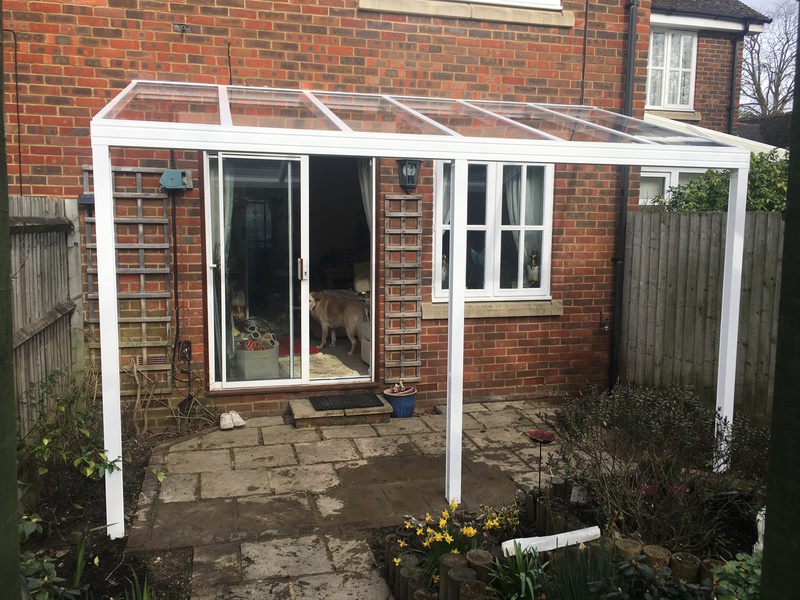 The customer was happy with the plan made and set the dates for installing the canopy. Just to let you know Dave and his colleague did an outstanding job of fitting our new LuMac Canopy. It looks AMAZING and I cannot recommend your product and service more highly!! The workmen were very professional and the canopy works and blends perfectly in the rear garden. I give you all 11 out of 10!!!!!! Richards canopy features our White frame, but we can also supply the frame in Brown and Anthracite Grey. The roofing is our amazing Clear as Glass system which is a 6mm plate polycarbonate which has all the visual benefits of glass. However, it is around 200 times stronger and much lighter, making it the perfect alternative to glass.